We are looking for a GP to join a well established GP owned practice in the Northern suburbs of Adelaide. In order for you to apply for this position, you will need to have MRCGP taken by examination and either CCT/PMETB/JCPTGP Prescribed Experience or equivalent. See RACGP website for more details. The practice is well established and has been open for several years. It has 6 Consulting rooms, and 1 treatment room. They currently have 6 GP’s working, 3 of which are part time. Potential for extra opening hours in the evenings and weekends. The practice is situated 30 mins North of Adelaide CBD. There are numerous sporting facilities, abundant parks and schools and two medium-sized shopping centres. 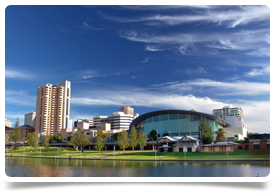 Adelaide is the capital of South Australia and has a population of 1.1 million people. It is also Australia’s fifth largest city and is nestled on the South Coast of Australia. Established as a British province and very British in terms of culture, Adelaide has expanded its multicultural mix in great proportions over the last couple decades. Approximately one quarter of people living in Australia were born overseas. The weather in Adelaide is pleasant. Summer temperatures average 29 degrees, but can get up to 40 degrees. Winter temperatures are rarely below 10 degrees and the average is 15 degrees. Adelaide is the driest capital city in Australia.